Hello and thank you for stopping by today. 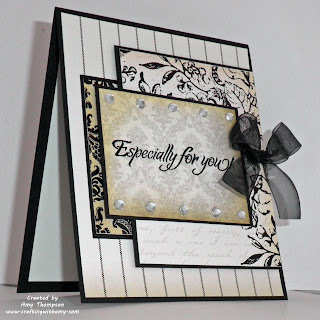 Here is an elegant card I made using DCWV Bella Armoire Stack. For the layer of this card I just measured by laying each layer on the card and using a pencil to measure where I wanted to cut each square. 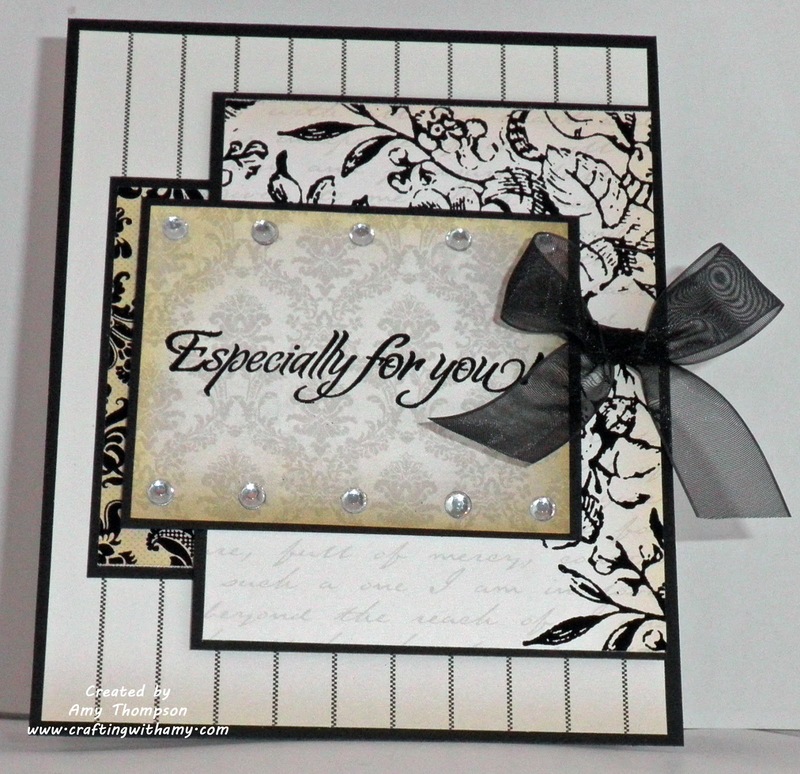 I used some pop dots only on the flower layer. 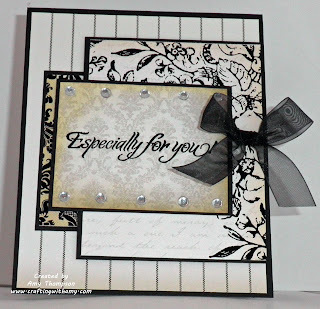 I used some black embossing power for the sentiment which is from My Creative Time More Gift Card Sentiments stamp set. I then used my iRock and gems to add a little bling.